When: Saturday, October 8, 2016 – 1:00 p.m. to 4:00 p.m.
Halloween is just around the corner! 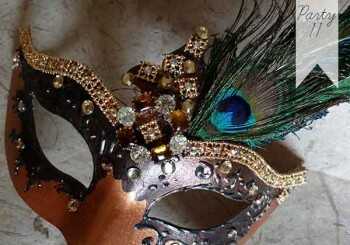 Indulge both your secretive and creative sides during this fun mask making afternoon. Choose from an abundant supply of feathers and frills to create a one of a kind mask for your costume or to display all year. Afterward, enjoy light refreshments and hors d’oeuvres.